On Friday 15th June, year 6 enjoyed an afternoon at Holland Park to celebrate their achievements throughout the year and during their time at Chepstow. 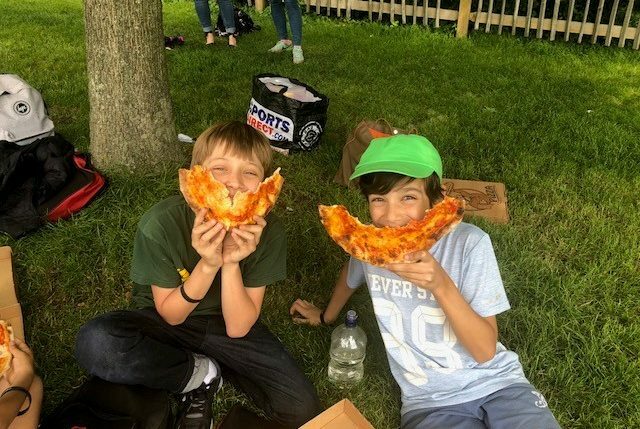 The children were treated to pizzas for lunch and the parents brought sweet treats such as cakes and ice cream to be enjoyed in the sunshine. This was followed by a game of Imperial v Golden rounders, which was won by Golden Eagles 9.5 – 7. In the parents v children game, the children came out on top with 13.5 rounders to the parents’ 12. There were some excellent individual performances, in particular by player of the match, Ms Gut!